It was the inspiration for two of my jazz portraits recently posted here on Jazz&Jazz – Leroy Jones and Dr Michael White. 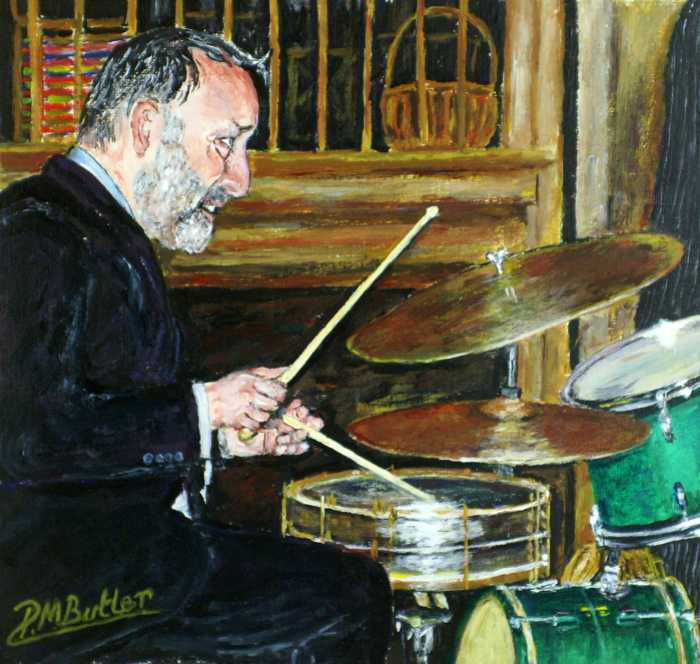 But more than that, it was my first opportunity to present to Barry Martyn the fine art Giclée prints of a portrait I had painted of him back at The 100 Club* in London, and of his son Emile on drums at “Jazz in the Barn” in Throwley, Kent, with his “Fallen Heroes”. 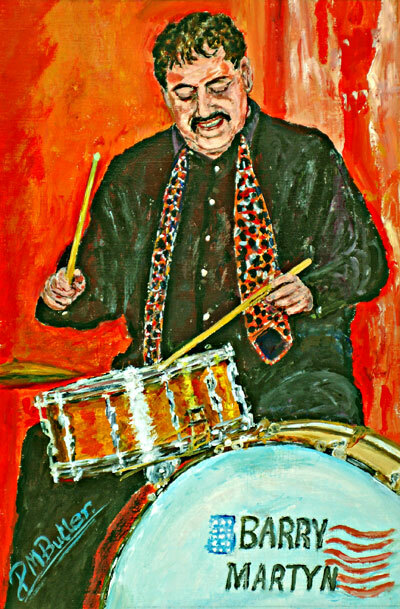 Later Barry wrote a letter to me urging me “to keep doing what you are doing for jazz”. I’m still striving to, Barry. A Fallen Hero with the world at his feet.